WATERFRONT PARADISE IS LESS THAN 10 MINUTES TO THE COLEMAN BRIDGE. WELL MAINTAINED HOME IS LOCATED ON 7 ACRES OF SERENITY. STUNNING VIEWS OF THE 1225' SHORELINE WITH DEEP WATER ON WILSONS CREEK A TRIBUTARY OF WARE RIVER/BAY. THE PIER HAS POWER, LIGHTS AND WATER. FULL HOUSE GENERATOR. 2018 COMPLETE KITCHEN REMODEL BY COLONIAL CABINETS WITH BUILT IN PANTRIES, NEW WINDOWS, LEAF GUARD GUTTERS, GORGEOUS PROPANE MASTER BEDROOM F/P. RINNAI ON DEMAND WATER HEATER AND ENCAPSULATED CRAWL SPACE. ASK FOR A FEATURE SHEET AND PLEASE SEE THE AERIAL VIDEO OF THE WATERWAY. Ready to visit 5597 Paynes Point? Request a free property tour! 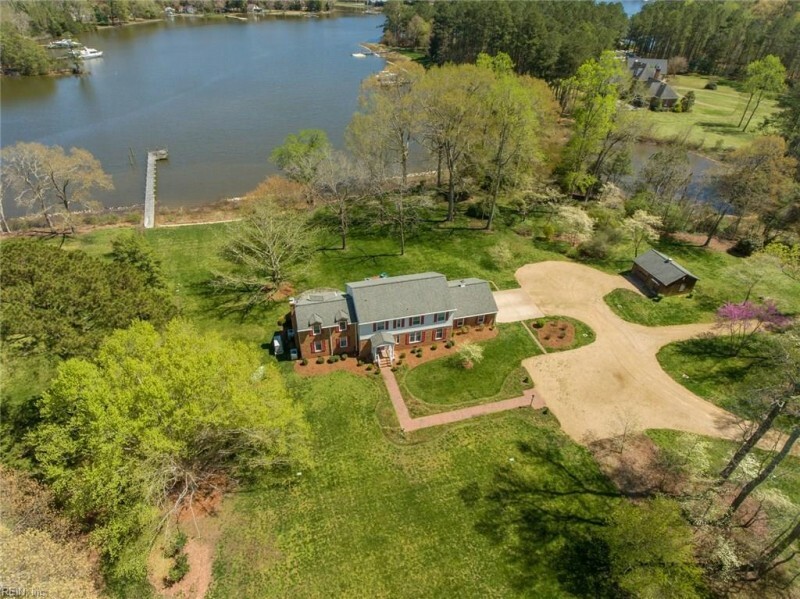 Send me more information about the listing at 5597 Paynes Point, Gloucester County, VA 23061, MLS# 10252701. This 4 bedroom, 4 bathroom home located at 5597 Paynes Point, Gloucester County, VA 23061 has approximately 3,504 square feet. It is currently listed for $750,000 and has a price per sqft of $21,404. This home is currently New Listing under the MLS#: 10252701. This listing is provided by Coldwell Banker Professional Realtors. 5597 Paynes Point Road, Gloucester County was built in 1972. It has Garage Att 2 Car, Garage Det 1 Car parking.The kitchen includes Dishwasher, Dryer Hookup, Microwave, Elec Range, Refrigerator, Washer Hookup. 5597 Paynes Point is part of the All Others Area 120 neighborhood located in 23061.